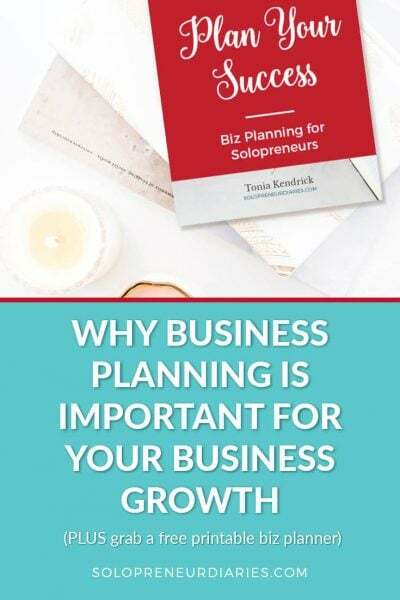 There are so many tools available to help you run your business. It’s hard to know what to choose. 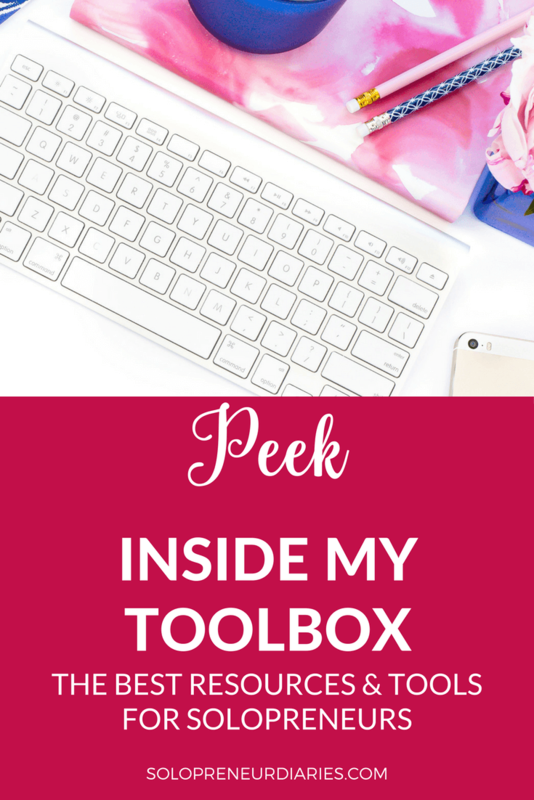 Here’s a peek inside my resource toolbox. I’ve put together a list of tools, links, and resources that I use and recommend, plus a few that are on my wishlist.  I hope this list will be a helpful reference for you! Questions about anything? Shoot me an email. A note about affiliate links: If I use a product and an affiliate program is available, then I sign up. Because that’s how savvy business women roll. So, some of the links below are affiliate links, meaning that I make a small commission if you buy through my link. For more info, check out my disclosure page. Genesis by StudioPress – Genesis is a theme framework, which means it’s the foundation that your theme sits on. The code is clean, it can be customized easily, and there is a ton of support available. I run both my blogs on Genesis and wouldn’t consider using anything else. Note: Genesis is a one-time purchase; then you can add any child theme on top of it. StudioPress offers tons of child themes. And many third-party developers design Genesis child themes. Simply Hosting – Both of my blogs are hosted Simply Hosting. They are not one of the “big names” in hosting, so you may not be familiar with them. I’ve used them for almost 10 years and have found the service to be top-notch. SiteGround – Siteground is another great option that I have used in the past. They have inexpensive plans and I always found the customer support to be prompt, friendly, and helpful. They have an excellent built-in caching service, which negates the need for a separate caching plug-in. And they will migrate your website from another host for free, which takes the stress off of you. The only downside to SiteGround is that they monitor each account very closely for resource usage and they have quite a low limit. This likely won’t be a problem for you if you only have one website, but it is something to be aware of. ConvertKit – I am all about ConvertKit. I’ve used MailChimp, Aweber, and Active Campaign and nothing else compares. ConvertKit is easy to use and it has automations that let you tag and segment subscribers so that your list is super-organized. Thrive Landing Pages – I use Thrive Landing Pages to create all my landing pages. It’s a plug-in that works with WordPress. I tried several other options, before settling on Thrive including other plug-ins and Instapage, which has a monthly fee. I liked the fact that Thrive was a one-time fee rather than monthly and I found it easier to use than the other plug-ins I tried. Plus, there are tons of templates! Thrive Leads – Thrive Leads is another WordPress plug-in by the Thrive team. I use Thrive Leads to create a variety of pop-ups, scroll mats, in-line forms, and more, all of which help me collect emails. You can do A/B testing with Thrive Leads so that you can tweak your forms and compare performance. Plus, the reporting is great, which I love! DPD – DPD is what I use to sell most of my ebooks and coaching services. It has a simple, flat-rate pricing structure that is based on the number of products in your store. Unlike many other sales portals, there are no transaction fees, which I love. Thinkific – I use Thinkific to host my course. I’m also starting to use it as a sales portal for ebooks that I want to bundle with courses (I can’t bundle them if they are on different platforms). Post Planner – I’m a recent convert to Post Planner. I use it to schedule Twitter and Facebook posts. With Post Planner, you can schedule one-time posts and repeating posts. What’s more, they help you find content to curate right inside the app, which is a huge time-saver. They have a number of content sources included, but you can also add in your own RSS feeds, Facebook pages, and Twitter accounts that you follow – all of which can be organized into folders. Hootsuite – I use the free version of Hootsuite to read and interact on Twitter. I have various streams, including my Home Feed, @ mentions, retweets, and several lists in an at-a-glance view, which makes it easy to stay organized. I also use Hootsuite for some Twitter scheduling. Buffer – Before I started using Post Planner, I used the free version of Buffer for most of my Twitter scheduling. It’s just easy and I like the way it spaces tweets out during the day at optimal times. I had an automation set up with IFTTT, Google Calendar, and Buffer that lets me schedule a month’s worth of tweets at a time AND schedule repeating tweets for free. Tailwind – I use Tailwind to schedule pins. If you are serious about marketing on Pinterest, then a scheduler is a must-have. 1) Tailwind will notify if you if you are scheduling a duplicate pin to a specific board. Love that! 2) Tailwind also has Tribes, which are groups of people who share each other’s pins. Later – I use Later to schedule Instagram posts. With the free plan, you can schedule 30 posts a month. Like most Instagram schedulers Later doesn’t post directly to Instagram. Rather, you get a notification on your phone, then push the post out to your Instagram feed. MissingLettr – I recently discovered MissingLettr, an app that generates automated social media content from the words and images in your blog posts. It’s really cool! Dropbox – What’s not to love about Dropbox? 1 TB of storage, all my files are synced among all my devices, and 30 days of file recovery. That last one has saved me on more than one occasion. Feedly – Feedly keeps new posts for all the blogs that I read organized in one place (and out of my inbox!). I like the Feedly interface (especially on my iPad) and I like that I can organize blogs into categories, such blogging, business, genealogy, fitness, etc. It makes it easy to read and share content. Pretty Links Lite – This is a free WordPress plug-in that lets you create pretty affiliate links that are easy to remember and share. You can also organize all your affiliate links into groups. Post Gopher – This plug-in auto-magically converts your posts into PDF format and makes them available as a content upgrade. Super-easy way to grow your email list! MiloTree – MiloTree is a WordPress plugin that encourages your website visitors to follow you on Pinterest, Instagram, Facebook, or YouTube. You can also use it to collect email subscribers. I see a marked increase in followers when I have it activated on my site. 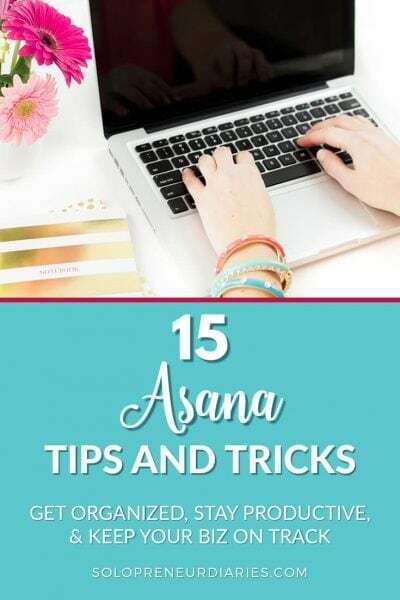 Canva for Work – Oh, how I love Canva! I use it to create all my blog and social media graphics. It is so easy to use. The free version of Canva is good, but I’ve found the paid version to be totally worth the monthly cost. With the paid version, you can set up a brand kit with your colors and logos, add your own fonts, organize everything into folders, and more. Creative Market – Creative Market is a great source for all kinds of design elements from stock photos and fonts to social media graphics and InDesign templates. It’s my first stop when I’m shopping for anything related to digital design. Be sure you check out their weekly freebies, too. 123rf – There are lots of stock photography sites out there. I like the subscription plan at 123rf, because you can buy credits to use and aren’t tied into a monthly subscription fee. 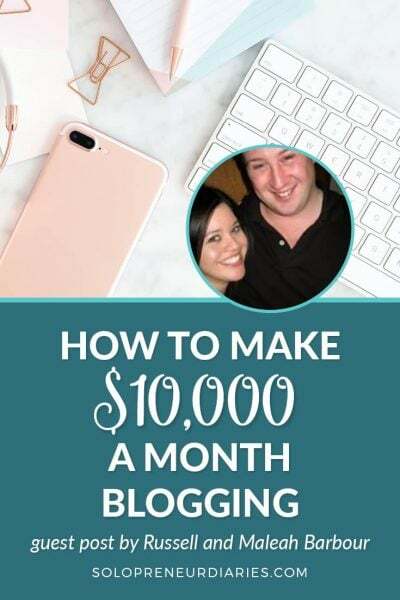 Elite Blog Academy – If you are looking for a comprehensive course that teaches you how to do this online biz/blogging gig, then Elite Blog Academy may be right for you. 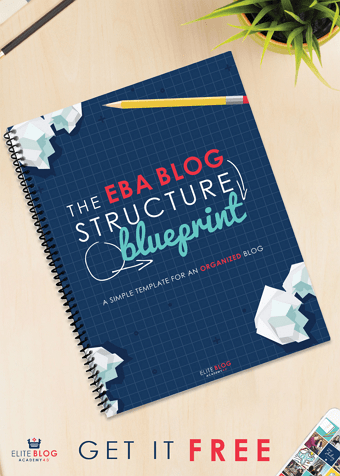 EBA only opens its doors once a year, so your best option is to join the waiting list here. Pin Practical Masterclass – Do you want to learn how to use Pinterest for your business? Pin Practical Masterclass is great “intro to Pinterest” course. It will teach you all the ins and outs from setting up your account to using keywords, creating great images, and more. As the name implies, this is really “practical” course with a big emphasis on how to use Pinterest to grow your email list (and thus your business). BookBoss – If you’ve ever considered writing an e-book, but don’t know where to start, then check out Abby and Donnie Lawson’s course BookBoss. It teaches you not only how to go from idea to finished product, but also how to market and sell your book successfully. List Building Academy – Laura Smith’s List Building Academy is a comprehensive course that focuses solely on growing your list. Laura has over 80,000 subscribers, so she really knows what she’s talking about. I enjoyed the way this course is broken down into bite-sized steps. Making Sense of Affiliate Marketing – If you want to learn the ins and outs of affiliate marketing, then this course is for you. You’ll learn how to find the right affiliate programs for your business, how to stay legal and compliant, how to promote, and more. My favorite thing about this course is that it is entirely text (no video!). I refer back to it often. Pinterest Improvement Master Plan – This is an advanced level Pinterest course and frankly, I think, it ought to be required for anyone who is serious about using Pinterest as a marketing platform. 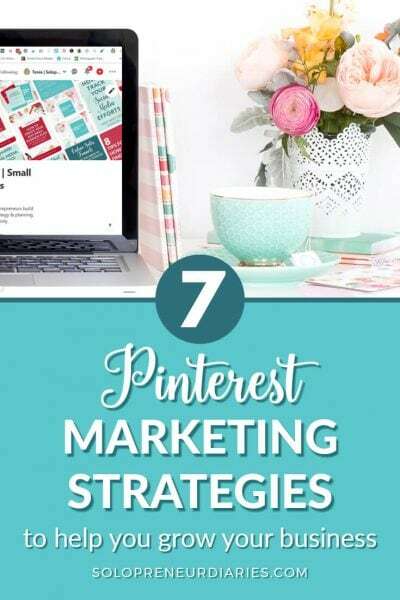 You’ll learn more about how Pinterest really works than you will anywhere else. 10 Step SEO Improvement Plan – Do you ever wish someone would you give you simple, step-by-step instructions on how to improve your SEO at the blog post level? This is it and it’s absolute gold. I highly recommend it. Pin Practical Promotions – Do you have the Pinterest basics down and now you’re ready to dive into promoted pins? Then I highly suggest you check out Pin Practical Promotions. It’s an advanced-level course on how to run low-cost promoted pins campaigns. This is where I learned everything I know about promoted pins and I highly recommend it. 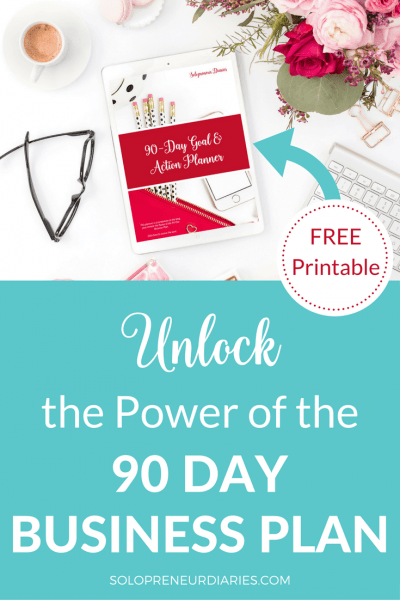 Pin Practical Promotions isn’t open all the time; however, Monica, the author, has a free introductory course called Pin Practical Ads that you can enroll in at any time. If you are looking for free resources to help you grow your blog, then check out this post. I’ve put together 20+ of the best blogging resources and they are all totally free! 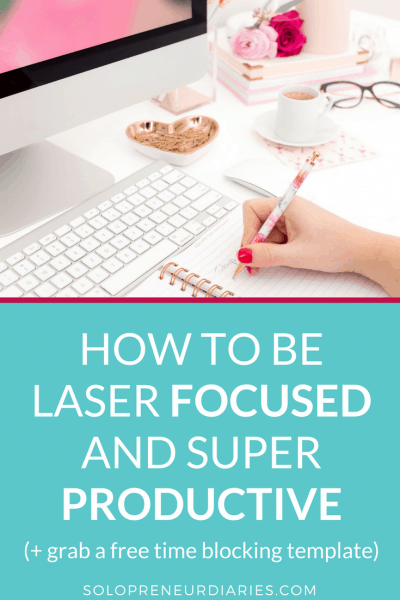 You’ll find tips on how to increase blog traffic, make money blogging, grow your email list, and more!